• Personal interview (or a reference from a mutual aquaintance) and application required. • Apply through MOFGA, using their application. There is no fee to apply. We are very lucky to have had many wonderful apprentices in the last 14 years, and we have learned as much from them as they have from us. 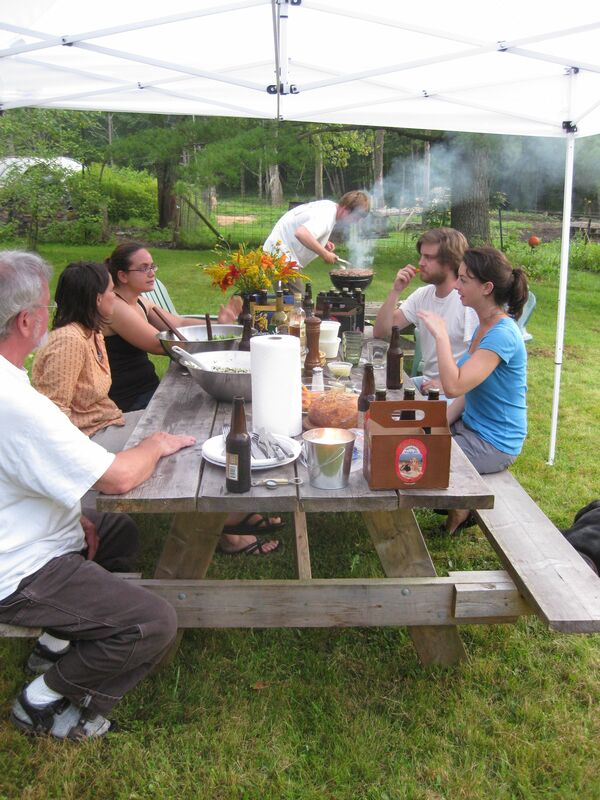 We feel we have a lot to share and teach: goat husbandry, cheesemaking, organic gardening, orcharding, homebrewing, and more. Of course, we also appreciate the extra help during the busy season, and try to be mindful that not everyone will take to what we do, or be able to accomplish in a day what we can. We’re looking for up to 3 apprentices for the 2018 season. Please read through this description before contacting us for more information. Failure to do so will indicate that you can’t follow directions, and will detract from your application! 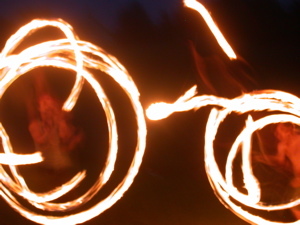 We offer a serious, residential experiential apprenticeship, requiring a full season commitment, March or April through November, with the option of longer. 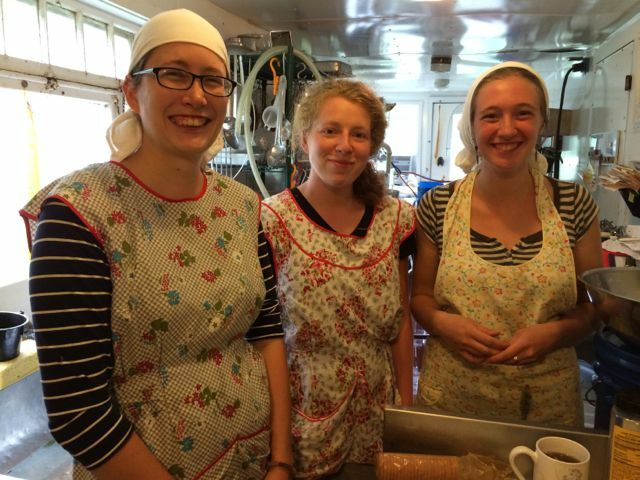 Our apprentices “graduate” with solid goat and cheesemaking skills. 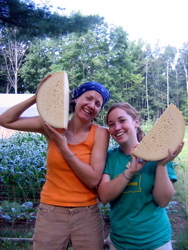 Many have gone on to start their own farms or cheese businesses. Others are in food advocacy. 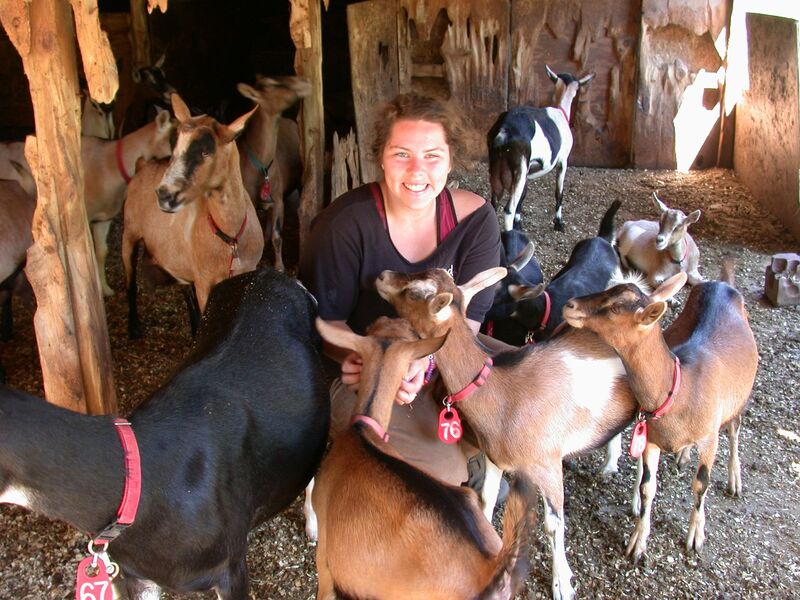 A season on our farm is a good way to discover if you love goats enough to incorporate them into your farm plan, learn how to run a small-scale cheese business, or both! In addition, we are at that point in our lives that we recognize that we need help from younger, more able-bodied farm helpers. One apprentice position can be more of a general farm hand, doing many of those things that keep a farm running, but not necessarily goat or cheese related, such as hauling hay, processing firewood, small building projects, and general grounds maintenance. Farming is noisy, smelly, buggy, dirty, non-stop, and exhausting. Work can be menial and repetitive. We start early and go to bed early. If you can’t manage any of this, please don’t apply. This is not the place for you if you can’t get up in the morning, or if you have a delicate constitution. Winter 2018 note: This winter is already defeating us. We would welcome an apprentice to arrive any time, to help us cope with winter. Hours can be long and tiring, especially during full market season. We do five farmers’ markets a week, and it is not always possible to predict if we’ve made enough cheese to cover a market. Some nights we are in the dairy packing cheese for the next day until after 9. Milking happens twice a day, morning and night, at 5:00. 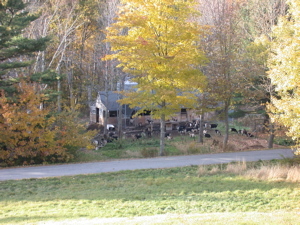 The apprentices are responsible for the evening milking, and Saturday morning. 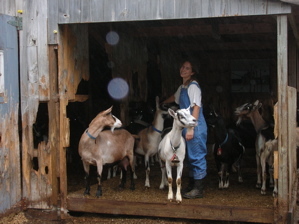 Goats respond to routine, and cheesemaking happens on a schedule, so starting work on time is critical. Late starts and interruptions mean a late finish to the day. Apprentices will be expected to attend a daily morning meeting after milking, usually 6:30 a.m. Coffee will be ready in the dairy! Some experience with animals is helpful, but not necessary. Be prepared to fall in love with the goats. They can be frustrating, enraging, entertaining, and loving. There is nothing like the unconditional love that an animal can give. They will listen without judgment, and always forgive. We keep 50-60 milkers, with an additional couple of retired ladies, some kids, and of course the bucks. Good cheese comes from good milk which comes from happy and healthy animals. 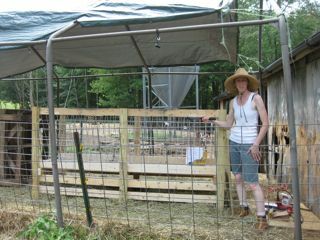 A huge piece of what we do is making sure the goats are well cared for. For the ’18 season, we expect to be kidding in mid March. We welcome applicants who can start as early as mid March, and want to experience the full cycle of birth through breeding. Kidding means more handling of the kids that are born, as they will need to be separated from their mothers and bottle fed, in order to have more control over the milk supply for cheesemaking. We expect about 60 goats to kid, which translates to as many as 100 kids! We do most barn work by hand, which means shoveling a mountain of manure. 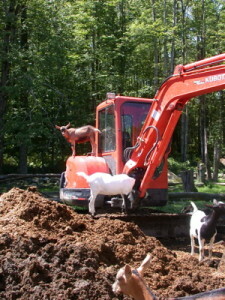 We deep pack the manure over the winter, letting the pack build up to help provide extra warmth for the goats. The first task of the season is to shovel it all out, and lay down a clean layer of gravel. If we’re lucky, we can get it done before the weather gets too hot. There will be fencing to maintain and install. 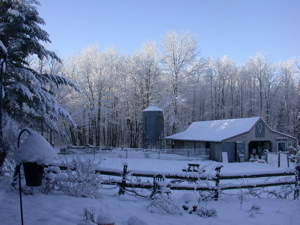 There are always barn repairs to be made, and annual maintenance such as cleaning and painting. We don’t make our own hay, and we don’t have room to store it, so on a weekly basis, we have to go get and stack hay. We always appreciate an extra hand with the garden if that’s what the apprentice would also like to participate in. We can also make room for extra garden space just for the apprentice. 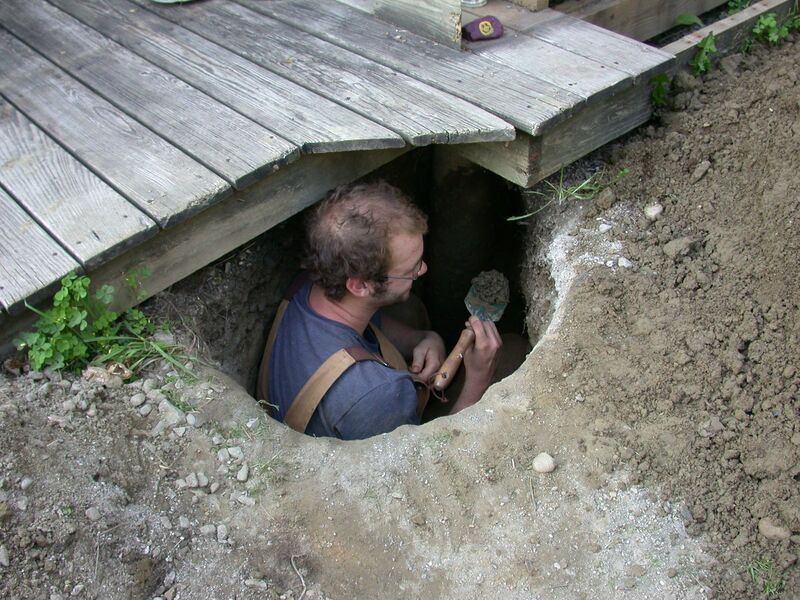 One day a week is a generally project day, where we all pitch in on barn or farm chores. Cheese is made every day, and is always in some stage of production. There will be long hours of packing the same cheese day after day, interspersed with the fun of making a new cheese. The apprentice will be expected to learn to run all the equipment and given the responsibilty of the day’s cheese. We’ll be making goat cheese every day thoughout the season, with April and May being the season of the full flush of milk. We buy in some cow milk to expand our product line. If there are any cheesemaking workshops while the apprentice is here, we will make every effort to send the whole crew. My way of making cheese is just my way, not the right way or the wrong way, so it’s good to attend a class with a different teacher. We also encourage apprentice exchanges through the season, so the apprentice can see other farms. The apprentice will be expected to go to farmers’ markets when needed, and will be given full responsibility for managing at least one market. In 2016 we opened a farm stand, and in 2018 plan to promote it more. The apprentice will be expected to tend the farm stand on weekends. We also have many weekend events planned, so the apprentice will be expected to work most weekends, taking their day off during the week. The apprentice will have at least one full day off a week (schedule to be determined), plus a half day after market or chores for personal errands, and a weekend a month. In return, we plan to take our family vacation sometime around the first week of July and August, and will leave the apprentice(s) in charge. 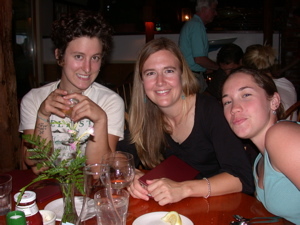 Some years we also attend the American Cheese Society Conference (in late July or early August), if at all possible. Additionally, we could raise turkeys or meat chickens in 2018, if the apprentice would like the opportunity to learn how to butcher poultry. We plan to get our kitchen licensed for food processing, and add another value-added food product to our line, most likely bread baked in our wood-fired oven or cheesecake. 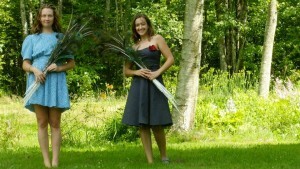 We do not discourage couples from applying, especially as running a farm takes two committed partners. It is good to have both halves of a partnership with a good grounding on what it takes to run a farm. However, it will take a committed couple for us to consider you. We may ask for a reference for you as a couple. Our hesitations stem more from a selfish place, in that if things don’t work out, we lose two apprentices, and in general, couples like to have the same day off, which is hard on the rest of the crew. We also don’t discourage a partner from joining you, but not as an apprentice. There is always work to do on the farm, and we would ask a boarder to exchange at least 5 hours of work a week for room, so as to be part of the farm team, and not a mystery guest. Katherine (13) at market with a couple of kids. All aspects of dairy goat management and care: kidding, disbudding, castrating, hoof trimming, tattooing. Culling pointers, butchering, carcass disposal, breeding and heat cycles. Good dairy practices: udder prep, hand and machine milking, milk handling, sanitation, dealing with inspectors. Cheesemaking: basic chevre, feta, washed curd cheese, bloomy rind cheese, washed rind cheese from goat and cow milks; yogurt, kefir. Food safety. Marketing at farmers’ market: setting up our display, customer interaction, rapid mental math while answering the top ten questions asked at market, deliveries, invoicing. By the end of the season, you’ll be able to make our basic cheeses and run our equipment. You’ll be able to tell the different goats apart, and have a favorite. You’ll be able to hand milk when the power fails. You’ll be able to anticipate which cheese we need to concentrate on this week to fill our orders. 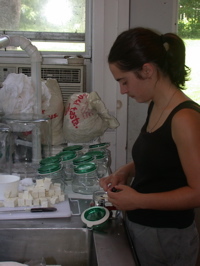 If we have surplus milk, you will be able to experiment with new cheese varieties. In addition to what you can learn from Caitlin about goat husbandry and cheesemaking, Brad loves to teach about homebrewing, and each summer we set aside a brewing day to create an “apprentice beer”, that is ready to enjoy by the end of the summer. 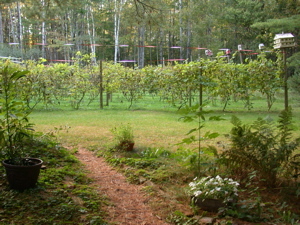 He can also instruct in the garden, vineyard and orchard. 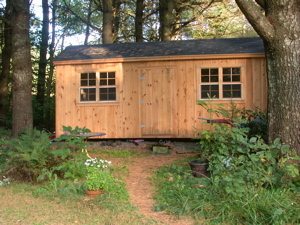 The Shed can house one apprentice comfortably (or a couple cozily), and is 10×20, comfortably furnished, with basic cooking equipment and electricity. It is insulated and has electric heat. The Cabin can also house one apprentice comfortably (or a couple cozily). It overlooks the goat yard, and like the Shed, is comfortably furnished, with basic cooking equipment and electricity. It is insulated and has gas heat. The Study is a room off Brad’s sail loft. While it is a little more limited in terms of a kitchen and cooking, it is private and comfortable. It has a wood stove, and could be used early/late season for warmth. There is no running water in any of the living spaces, but there is an outdoor shower and outhouse, and the laundrymat is nearby in Union. 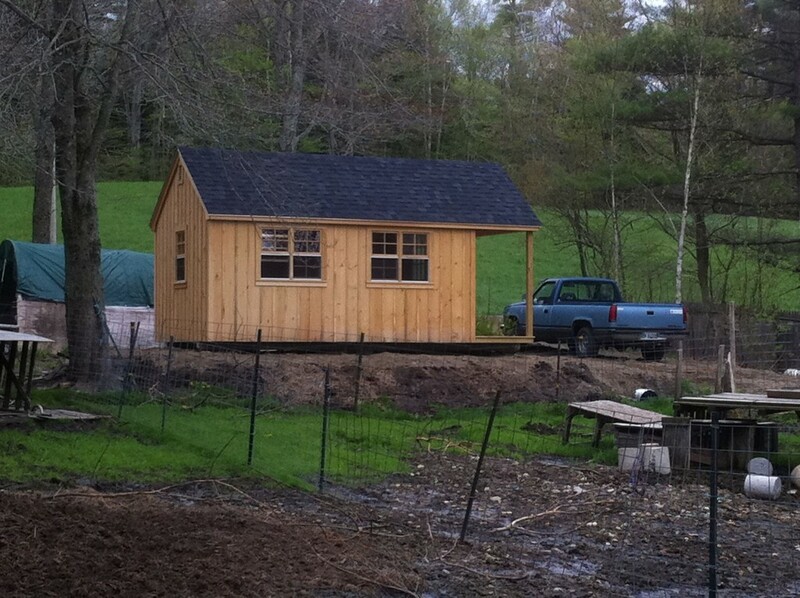 The Cabin has a propane heater, the Study has a wood stove, and the Shed has an electric heater. 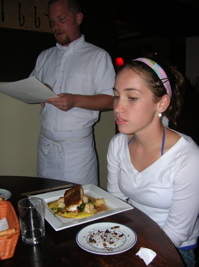 We ask our apprentice to bring bedding and any specialty cooking equipment we might not have. We have wireless DSL, so bring along your computer. There is also a TV and a sewing machine available! Your friends and family are welcome to visit, as long as they don’t mind pitching in with the work. We’ll assign housing according to which apprentice stays the longest. We strongly encourage the apprentice to have a cell phone, not only for personal use, but for emergency roadside needs and communication on the road between markets. Cell coverage is improving all the time, depending on your carrier. US Cellular, AT&T and Verizon are good, T-mobile and Sprint not so good. Please do not have friends or relatives call the farm unless it is an emergency. Brad also runs his sailmaking business from the farm, and the phone needs to be free for business. There is absolutely no smoking allowed on the farm. This is not negotiable. We will also not tolerate drug use or underage drinking. Responsible use of alcohol is OK. At this point in time, we can’t accommodate dogs (too many free-ranging chickens) as well as our resident Great Pyrenees dogs. We like to eat supper together a couple of times during the week, the schedule to be determined after the apprentice arrives. This has turned out to be one of the high points of the week, as we entertain each other with travel stories, exchange political and theological points of view. We can certainly accomodate vegetarians, but vegans will have to teach us some specialties. We also welcome a division of cooking duties, should the apprentice like to cook! We have no shortage of milk, cheese and eggs. We barter for most of our other needs at farmers’ markets, and have access to free-range meat and chicken, an impressive array of artisan breads, every vegetable under the sun, honey, maple syrup, spreads and sauces, and fresh berries and apples in season. Responsible use of alcohol is OK, and we will often share some homebrew. The apprentice is expected to supply their own beer or wine for everyday consumption. Generally, the apprentice will be on their own for most meals, unless it is a work day and we break for lunch. We will respect your space, and expect the same in return. We all need our private, quiet time. 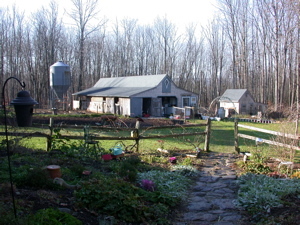 We have many wonderful neighbors, and our road is a patchwork quilt of many different farming styles. We’re on the bus route, so the roads are well-maintained, but still very rural, with wonderful walks nearby. We are only five miles from the town of Union, where there is a post office, grocery store, library, laundramat, restaurants and banks. If the apprentice doesn’t have a car, it’s an easy bike ride, without any hills. Appleton itself does not have a post office. There is a small library and a general store, but Union is closer to us. Hope General Store is very popular with apprentices, who like to go there for coffee and the New York Times. that an apprentice would like to do, that we can shift our schedule or trade chores to be able to do it. 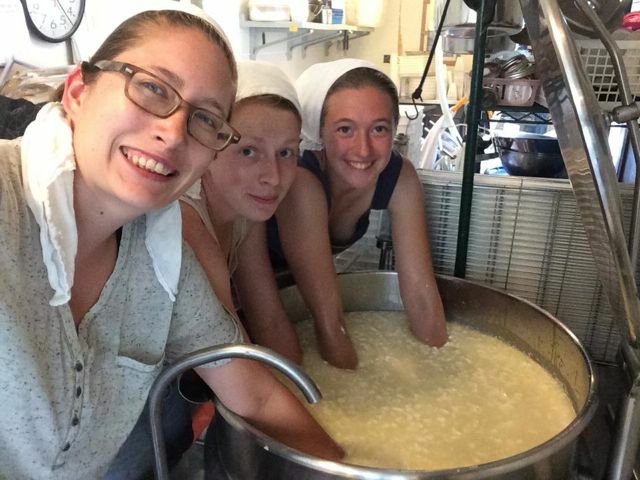 The MOFGA apprentice program schedules a series of workshops just for apprentices so there’s plenty of opportunity to see other farms, meet new faces, and gain other farm experiences.And we all take the weekend to go to the Common Ground Fair, where the Maine Cheese Guild runs a booth. 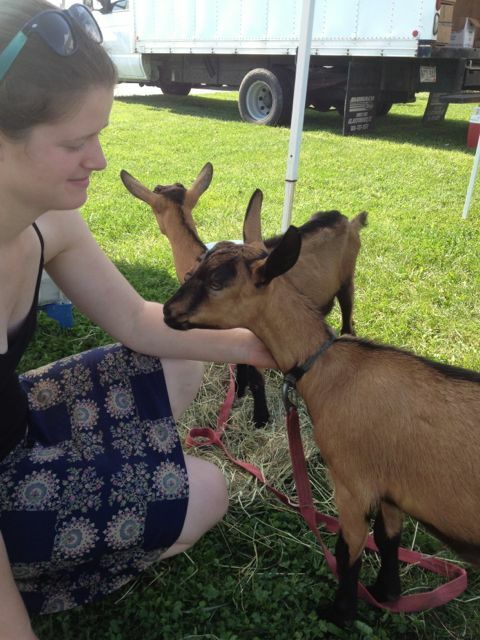 Bring barn clothes that you don’t mind getting trashed — by goats and by work — and barn boots. Farm courtesy and biosecurity measures require us to wear clean clothes to other farms, and not to share boots between farms. “Cheese whites” are nice — light colored, non-shedding clothes to wear in the dairy, and a waterproof pair of comfortable shoes for dairy use. We have white jackets, aprons, and hair coverings. We like Birkenstock “Birkies”, one pair for the barn, one pair for the cheeseroom. 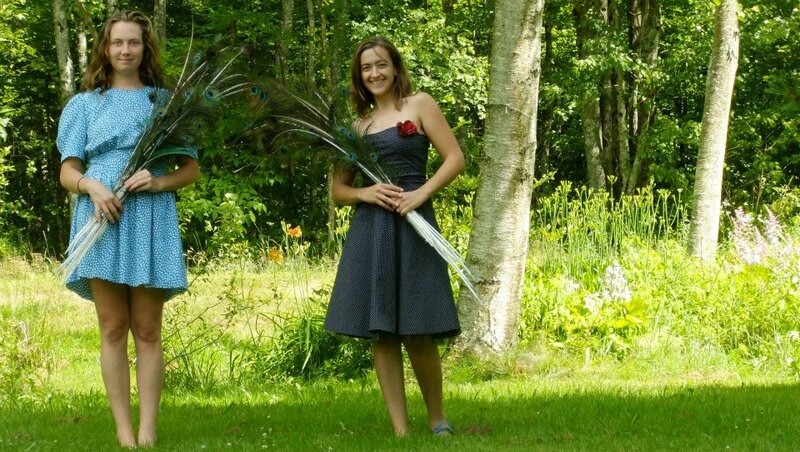 There are less expensive garden clogs available, but they should be comfortable, as we spend many hours on our feet. 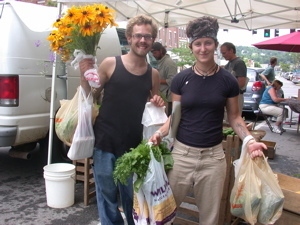 For farmers’ markets, clean, non-barn clothing. It is important to present the farm in a clean and hygenic manner! A flashlight or headlamp — it gets dark on a country night! A good pocketknife or leatherman for cutting baling string, among other things. A bicycle if you can’t bring a car. Maine is a rural state, with very little public transportation, so a vehicle is nice, as it will enable the apprentice some freedom to see other parts of Maine and do errands and things on days off. Farm vehicles are not available for personal use. There won’t be time during a busy cheesemaking schedule to stop and give rides. Temple Grandin is a leading authority on autism and animal management. She has written several excellent books that get you into an animal’s head: Animals in Translation, Thinking in Pictures and Animals Make Us Human. Hard Times in Paradise: An American Family’s Struggle to Carve Out a Homestead in California’s Redwood Mountains by David Colfax, Micki Colfax . 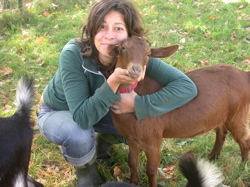 About a homesteading family who raised goats for a living. Omnivore’s Dilemma by Michael Pollan. If you don’t read another book in your life, you must read this one. The Little House series by Laura Ingalls Wilder. Growing up as a pioneer girl in the late 19th century.